Masami Takeuchi has announced a new album of theremin music we think you're really going to love. 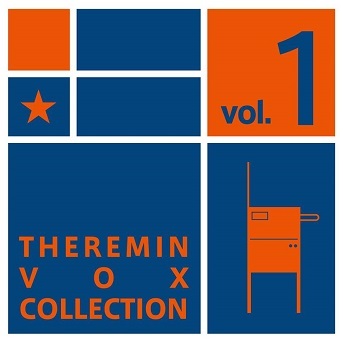 "Theremin Vox Collection Vol. 1" features Takeuchi performing on the Gordin Masazane theremin, an instrument produced by his company Mandarin Electron (also known for their Matryomin theremins built into Russian stacking dolls). The Gordin Masazane can produce sound by either oscillators or traditional heterodyning and also includes waveshaping features more commonly found on analog synthesizers, such as a resonant filter. Samples from the album are available on SoundCloud. The album may be purchased at Mandarin Electron's website (in Japanese). It is available now via download and will be available on CD towards the end of January. Congratulations to Masami Takeuchi on the release!